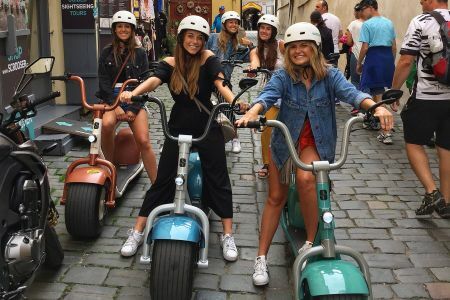 You can find us downtown near Charles Bridge, right where it all happens. 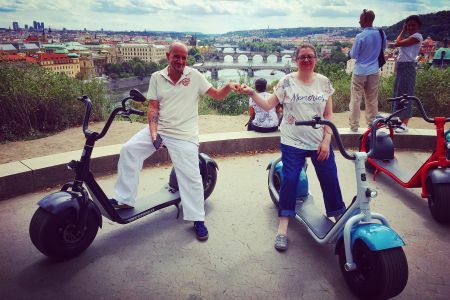 We look forward to riding with you. 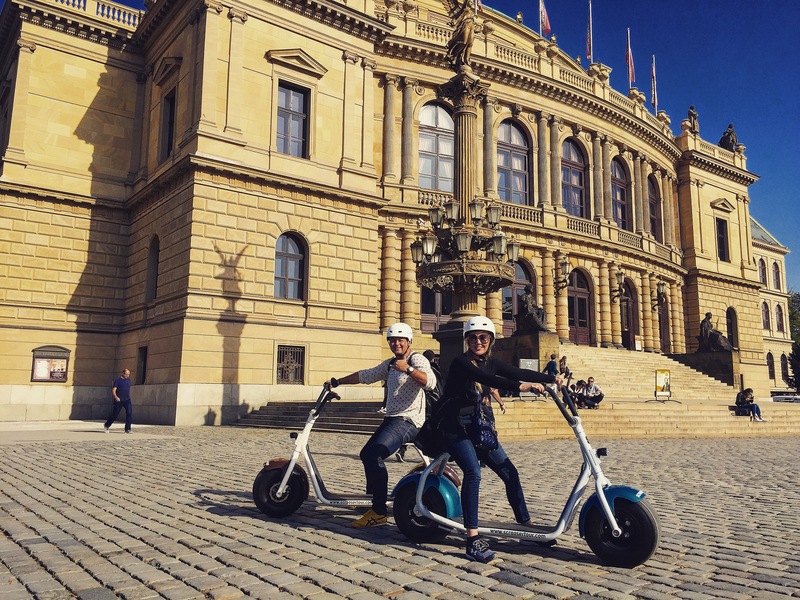 Discover the beauty of Prague in style on SCROOSER! 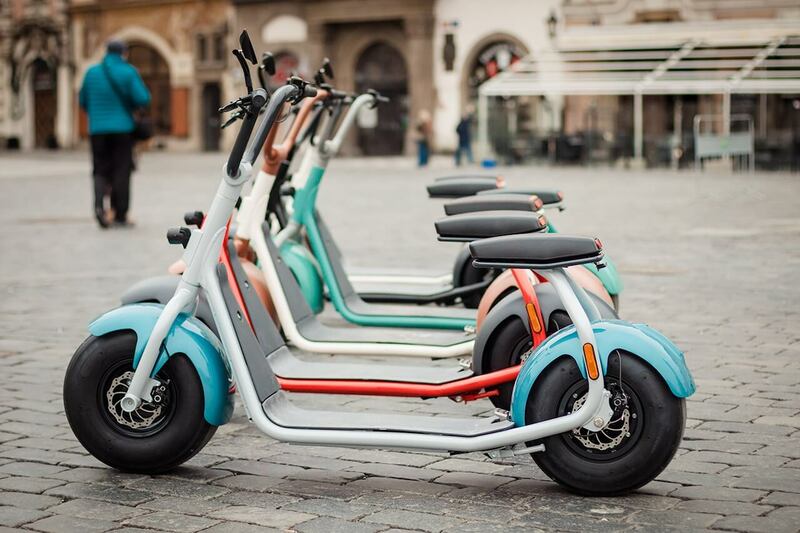 Unique electric scooter focused on detail and pure riding joy – made in Berlin. 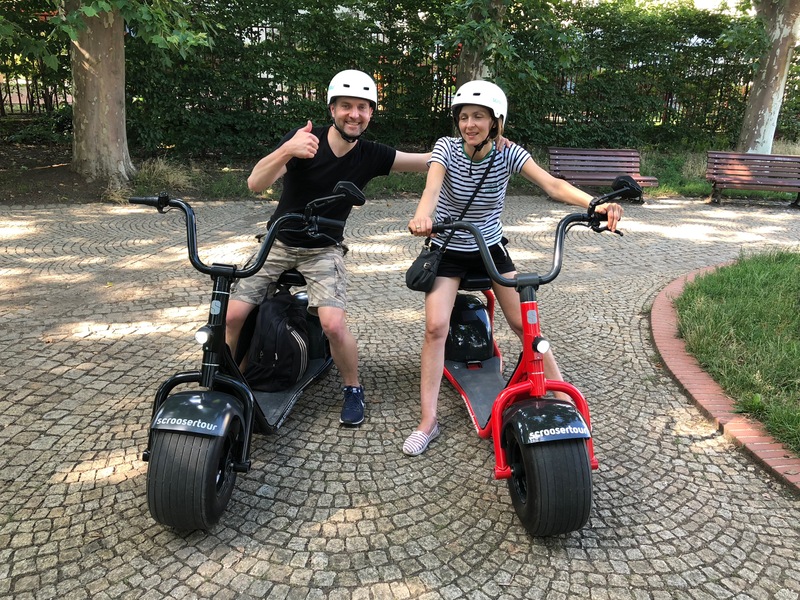 Scrooser Tours are well balanced guided tours designed for those who like adventurous sightseeing combined with Escooter ride. 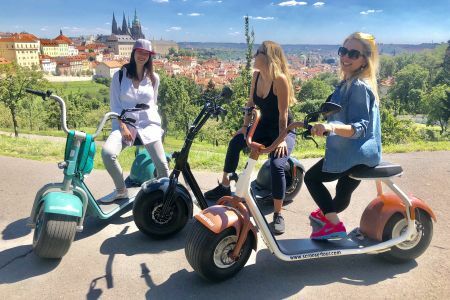 Our trips on Ebikes include the most famous locations such as Charles Bridge, Prague Castle, Old town with Astronomical Clock, but also typical places for locals, parks, viewpoints, and waterfront bike paths. 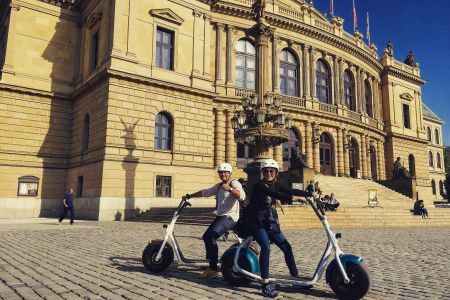 Included in the price of your tour is an experienced local guide who will highlight the famous attractions, sights, and monuments. 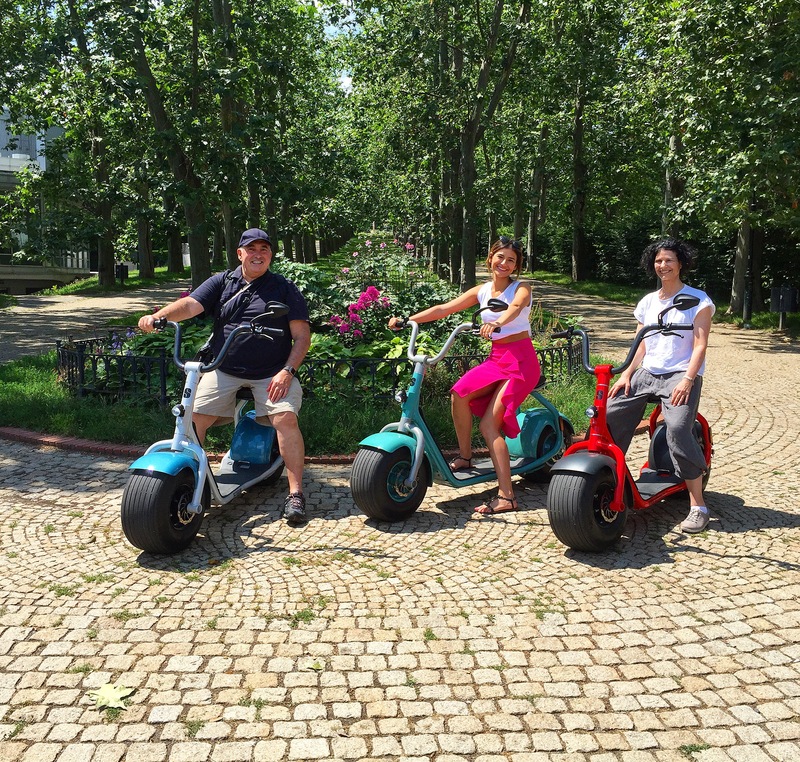 During your tour, we will make special stops for explanations and for taking photos or videos. Have your camera ready! 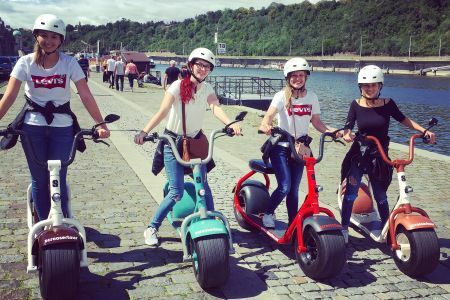 Have you ever ride a bike? 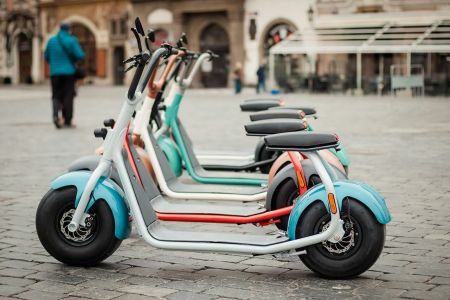 If so, riding a scooter will be a piece of cake for you. 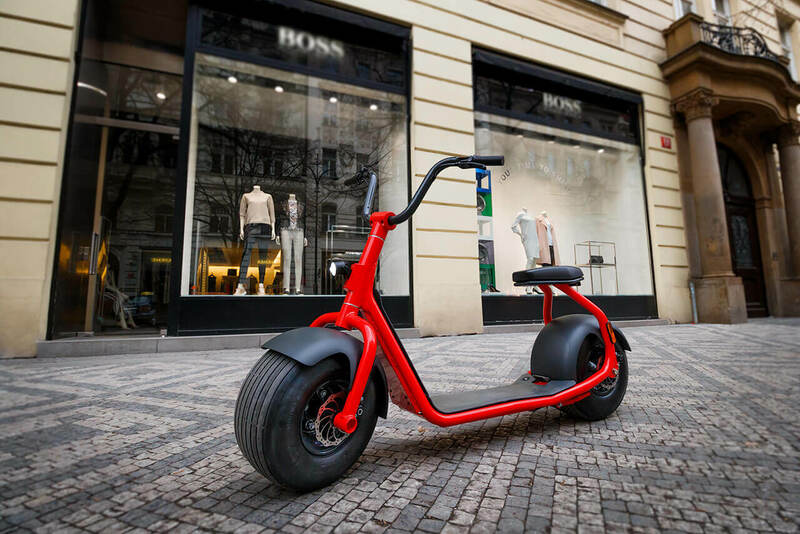 SCROOSER is extremely stable thanks to its flat fat tires, you have the option to sit or stand, depending on your preference. 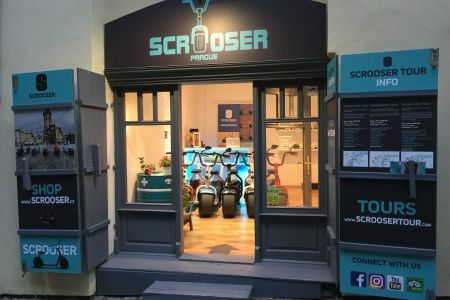 Scrooser is classified as Ebike so we can legally use all bike paths. 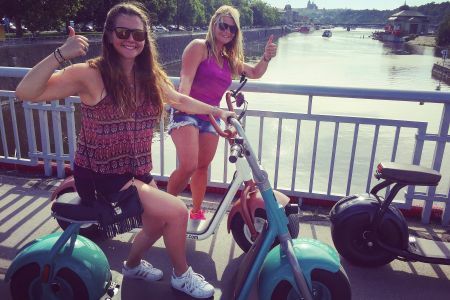 Do not be worried about traffic and crowded places, we did our best to choose the easiest way how to get around. 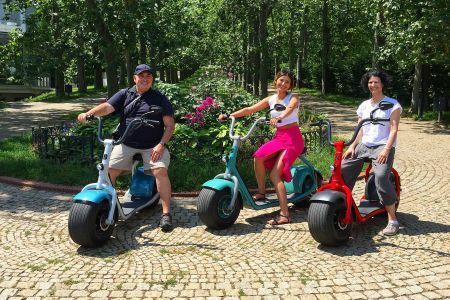 You will also get tips from a local person for spots you should visit, restaurants and anything else you would be interested. 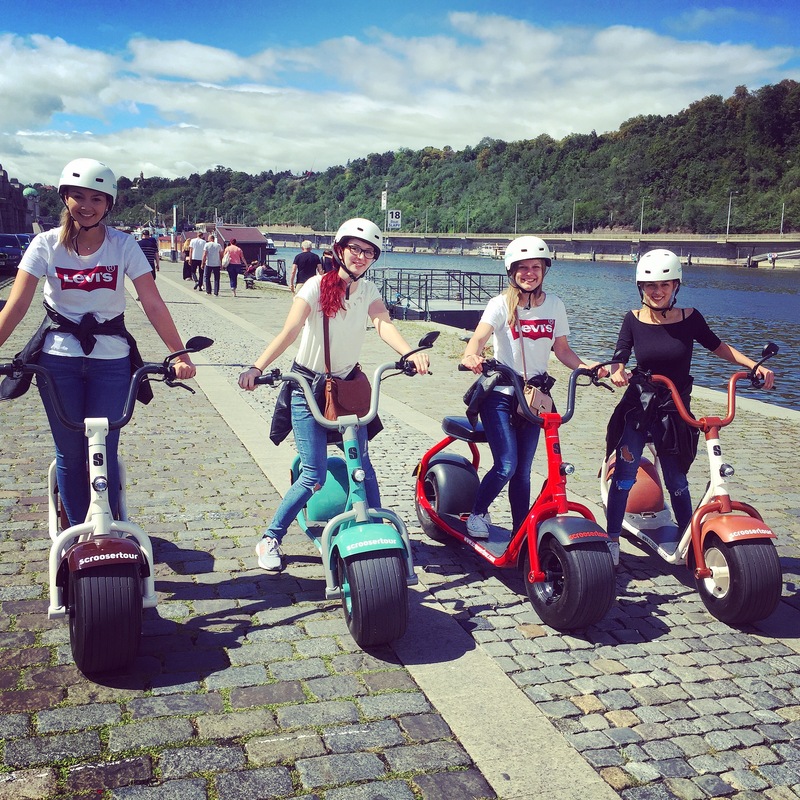 Tours start daily at 10:00, 13.00, 16.00, 19.00. Why is SCROOSER so special? 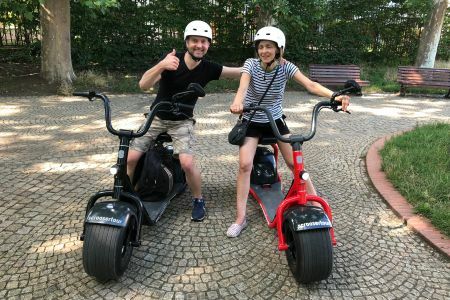 SCROOSER started at kistarter.com in 2013 as a startup and was built and designed for urban transport, so it perfectly fits as a product for sightseeing tours. 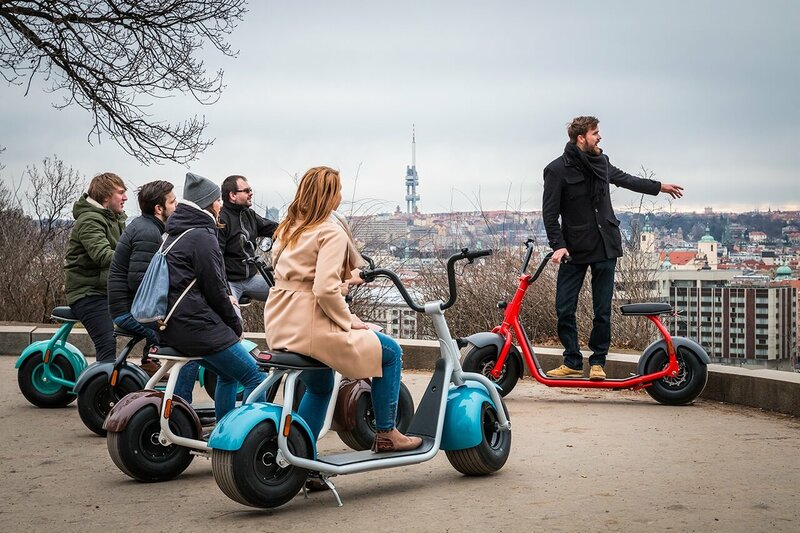 With Ebike classification we are able to use Prague bike paths that will lead you to unusual places you would probably miss as a tourist. 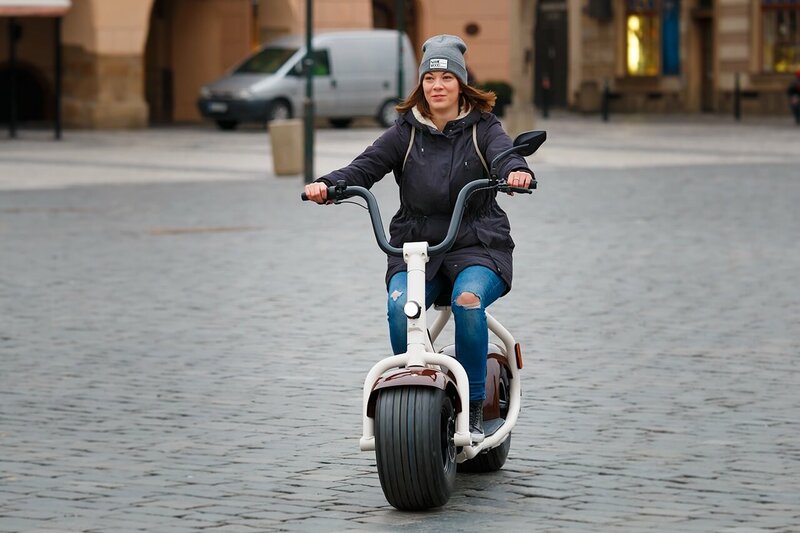 SELF BALANCED SYSTEM – the SCROOSER has a unique riding experience due to its wide tires and the low center of gravity. 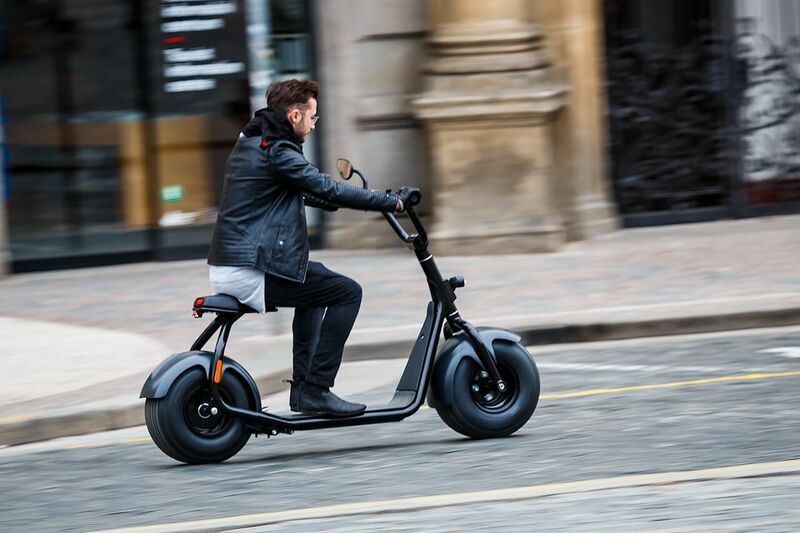 This allows the rider to steer through body weight and enables stable riding even at low speed. The SCROOSER also stands on flat ground by itself. 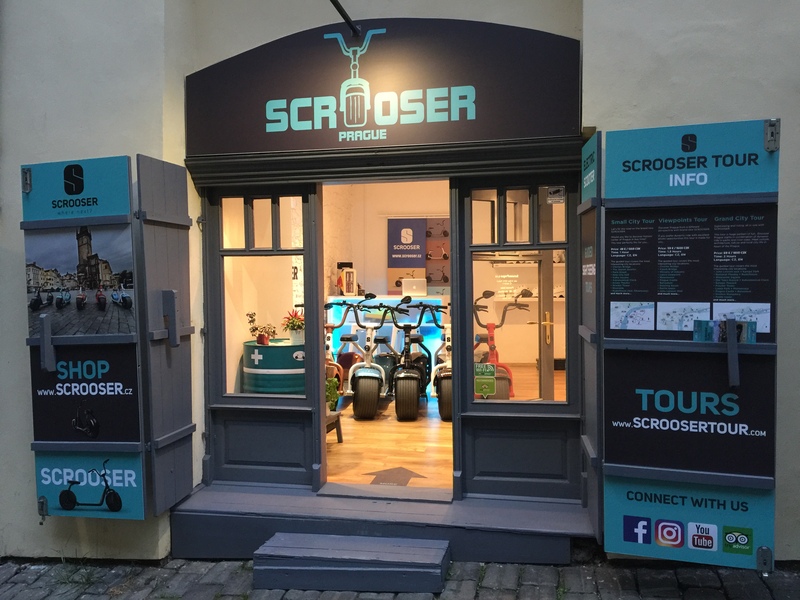 We are delighted that we may as a first worldwide offer you sightseeing tours on SCROOSERS! 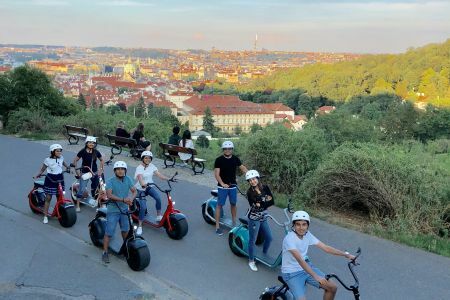 You can find us downtown near Charles Bridge on Castle side (Lesser Town) every day Mon-Sun 10.00 – 18.00 at Saská 6, Prague 1, right where it all happens. 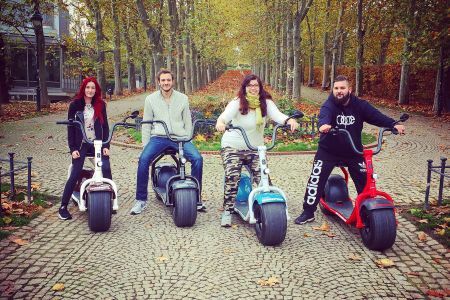 Google maps: Scrooser Tour. 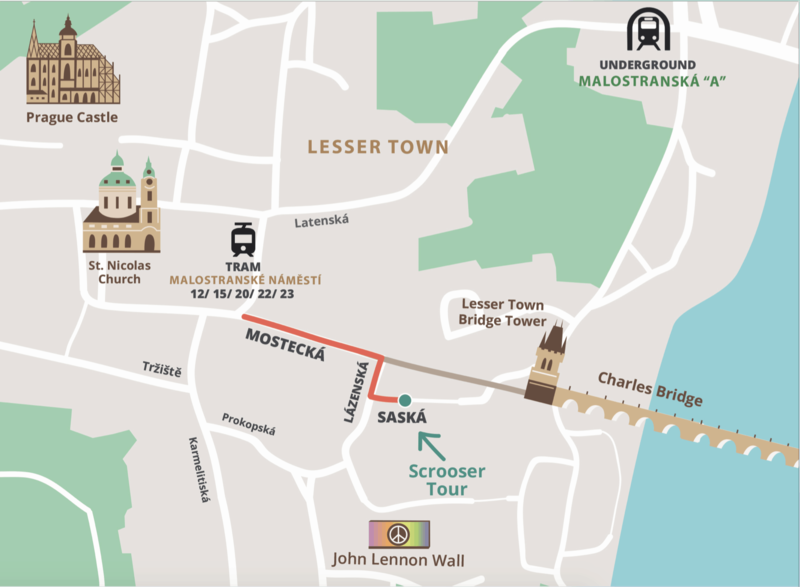 Public transport: Malostranské náměstí (TRAM 12,15,20,22,23 – 2min. walk). 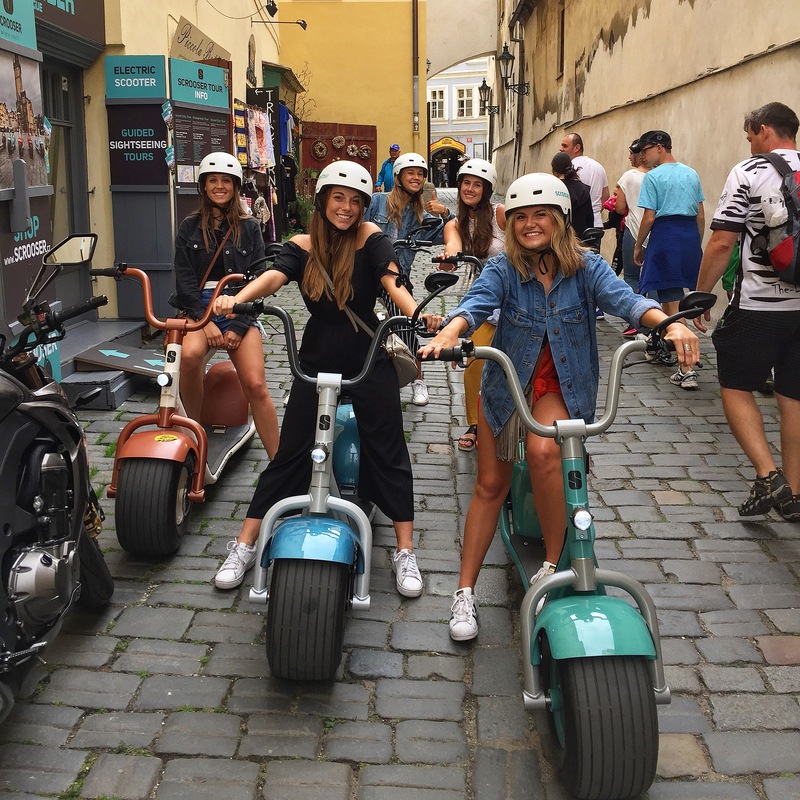 Our goal is to create unforgettable memories of your trip to Prague. 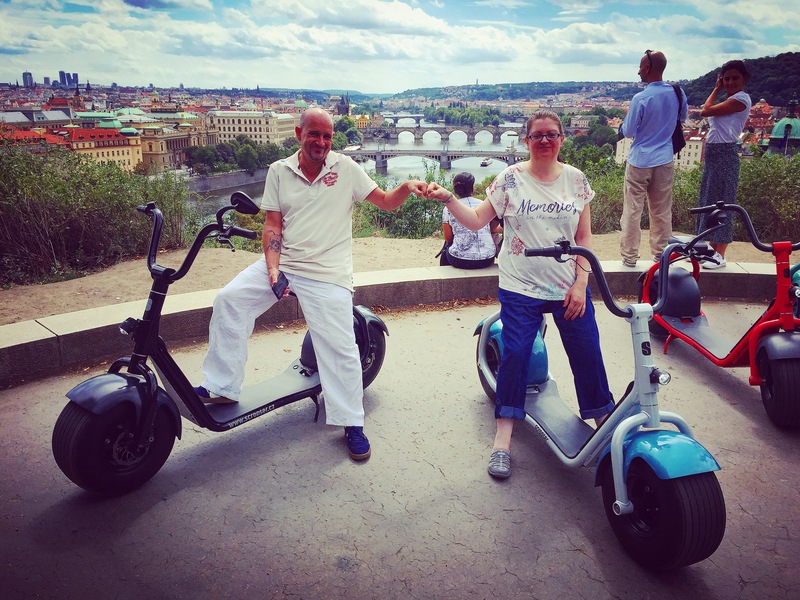 We are a team of positively tuned people and we are happy to accompany you during your journey in our beloved city Prague. Must not be surprised that our job is also our hobby:) We look forward to you! Our office at Saská str. 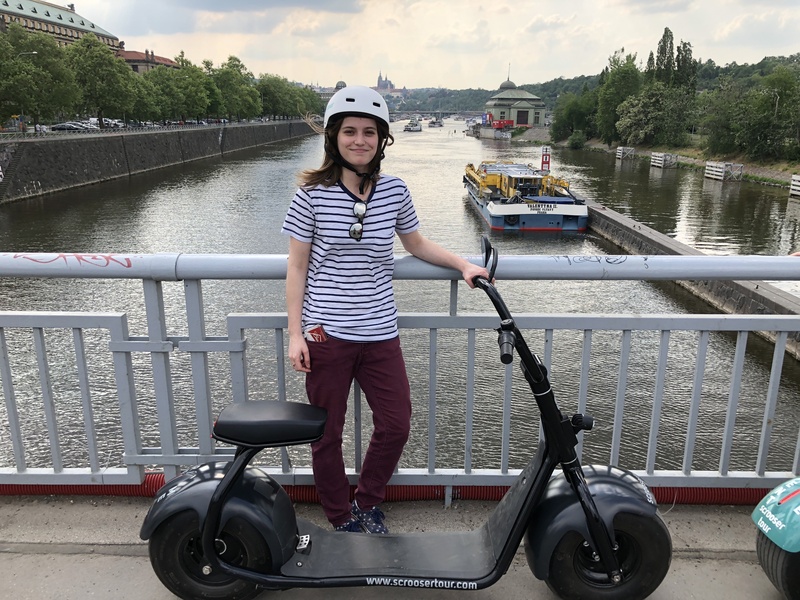 You will be accompanied by an experienced instructor who will point out all the amazing sights and attractions but also will be able to assist you with anything else you may need during your journey through Prague. 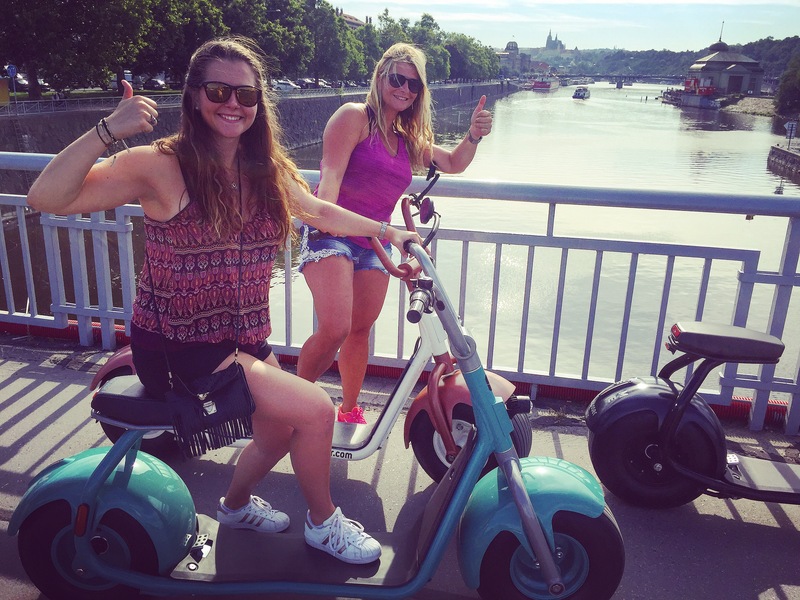 Our staff will instruct you on safety and provide some cool safety accessories. Don’t worry it’s not as long as it sounds. Our payment methods: 1) With your Paypal account. 2) Credit/debit card on Paypal, without registration. 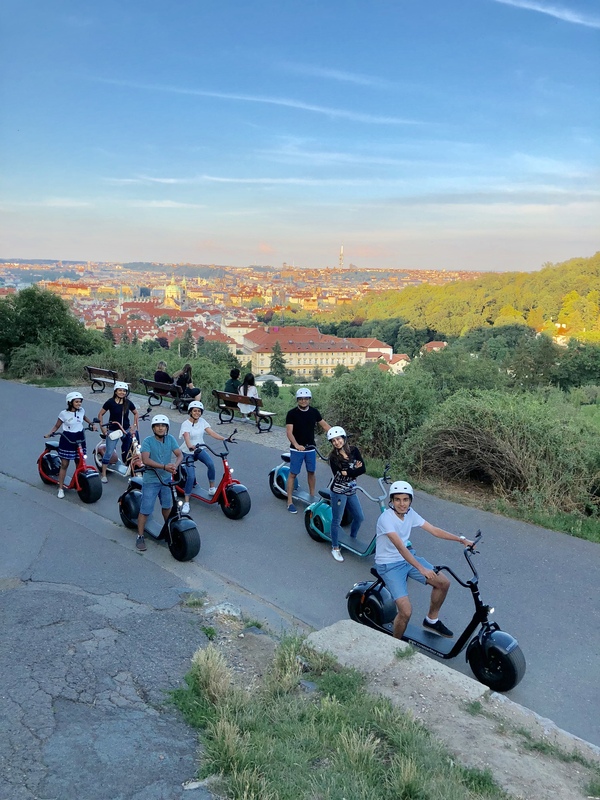 Payment options: You can choose to pay a deposit of 50% with an additional charge at the meeting point or pay the full amount. We accept credit cards.